Will Denley, age 16, son of John and Jenne Denley operated the Mayflower Dairy delivery wagon circa 1909. This photo was taken on Slavin Road near their dairy. Prior to the Great Depression in late 1920s, Oregon Dairy Farmers felt an economic blow when the price of butterfat dropped from 16 cents a pound to 12 cents a pound. The old Dairymen’s League collapsed as a result. After bitter fights and protests of unfair practices, milk prices fluctuated. After recognizing the need to agree on consistency in pricing and marketing, a group of dairymen came together to sign incorporation papers for the Dairy Cooperative Association (forerunner to Mayflower Farms) on November 8, 1929. The following year, 1,300 members signed the contract. Finally, in January of 1931, Will Henry was hired as the first manager and the headquarters of the newly formed Dairy Cooperative Association were established at SE 3rd and Madison. 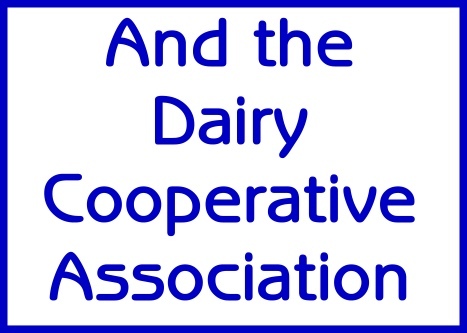 The headquarters of the newly formed Dairy Cooperative Association were established at 3rd and Madison in 1931. The old Frostkist Ice Cream Company building on southeast 11th & Belmont was selected as the first distribution plant and delivery of milk began to producers on August 31, 1931. Milk skimming and production began here on October 1, 1931. Until February 1934, a portion of the plant was used to separate surplus milk. The Cooperative Association opened their first plant at 1313 SE 12th Avenue. In 1936, ten 1-1/2 ton trucks (6 of which are shown here) were operating over 20 routes twice each week. They would pick up 5 and 10 gallon cans of milk from small dairies with 10-12 cows. Recognizing the need for top quality feed for the milk producers, the Dairy Cooperative begins selling feed in October of 1933 out of a Great Northern boxcar near the east end of the Ross Island Bridge. In May of 1934, the feed division was moved into its own quarters shown above. 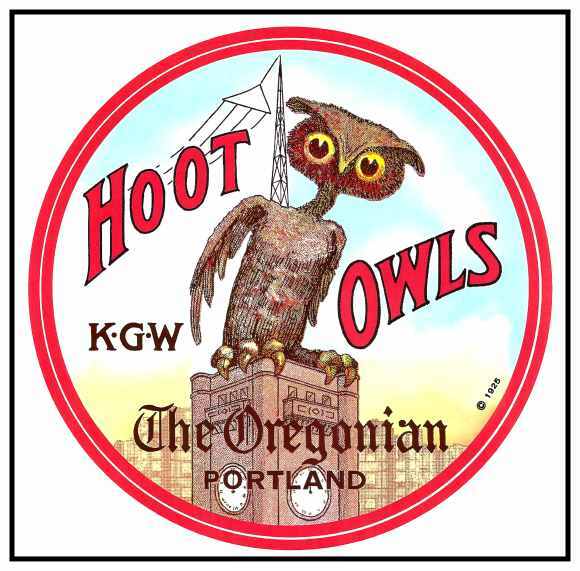 In 1934, the feed division was moved to 2613 SE 8th Avenue in Portland. The first Salem distribution plant opened in 1931. This later plant in Salem held a milk bottling facility as well. The Dairy Coop Association’s new bottling facility in Salem opened in 1945. The Route Salesman contacted Mayflower Milk customers and his duties included delivery service, collections and selling. Procurement trucks are leaving the Portland Garage at 2609 SE 8th Avenue completed in 1946 where the Dairy Coop maintained their own repair, tire, and paint shops. The Mayflower Milk Fleet of Vancouver is shown in front of their service garage at 19th & Washington. The processing plant was located at 300 West 13th. In 1942, a milk receiving station was established in Hood River and the Salem Division began serving Camp Adair in Corvallis. 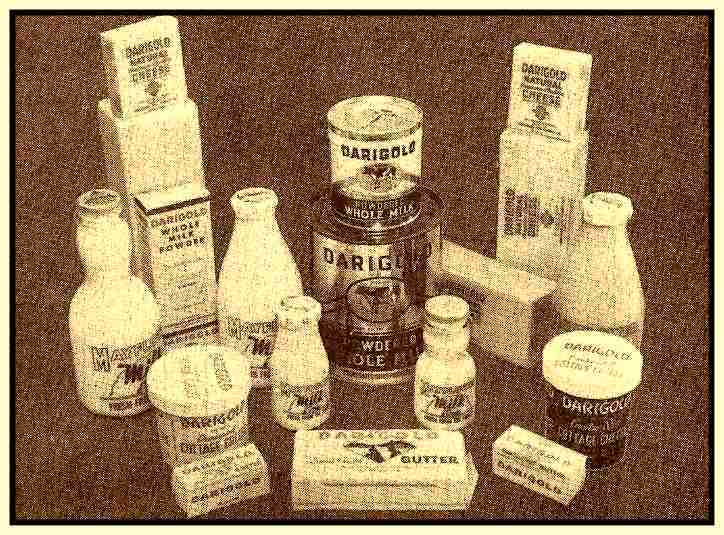 In 1946, all products except Mayflower Milk began using the brand name “Darigold”. Melt-in-your-mouth Darigold Ice Cream was served in rectangular quart cartons. Each butter churn had a capacity of 2,000 pounds. The Dairy Coop hired champion cheesemakers who made award-making natural cheddar cheese that was branded for Darigold. 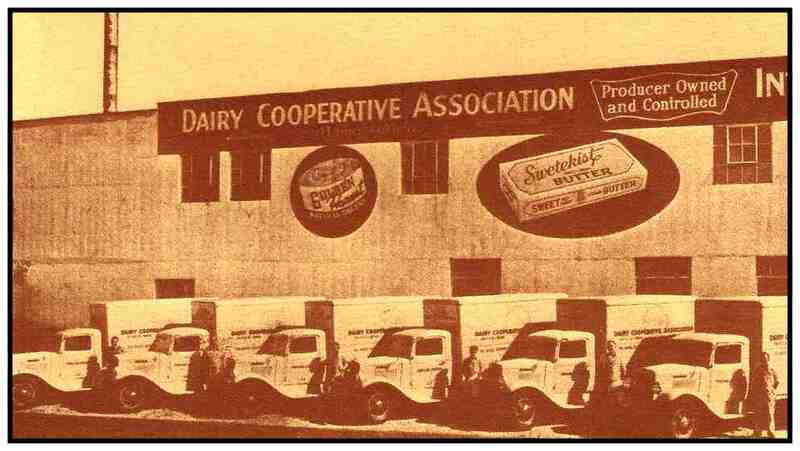 In 1947, the Dairy Cooperative Association bought Medo-Sweet Dairy in Portland, acquiring the Vetsch brothers’ plant at Northeast 107th & Prescott. In the bargain, they got a license to sell milk in Portland. That same year, a new milk receiving plant opened in Tillamook, Oregon. 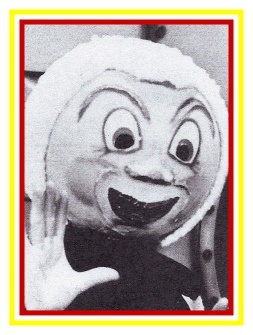 Later in 1947, new Mayflower Milk Distribution Plants opened in Oregon City and Hillsboro. 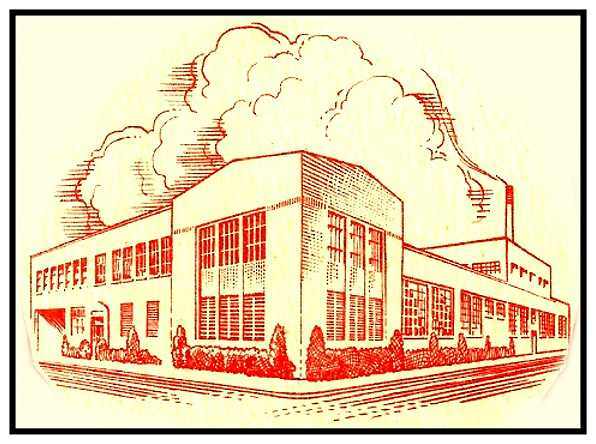 A manufacturing and processing plant opened at Hermiston, also in 1947. By 1948, plants operated in Lebanon, McMinnville, The Dalles and in Washington at Camas and Troutlake. In 1950, milk packaging changes from glass to paper milk cartons and the Dairy Coop begins closing its smaller bottling plants. This aerial view shows the Portland Powder Plant (which opened at 2600 SE 6th Avenue in 1945), Feed Department, Garage and Consolidated Dairy Products Company buildings. The future home of all Portland manufacturing will be located in this area from 6th to 8th Avenues and from Powell Blvd. on the south to Taggart Street on the north. 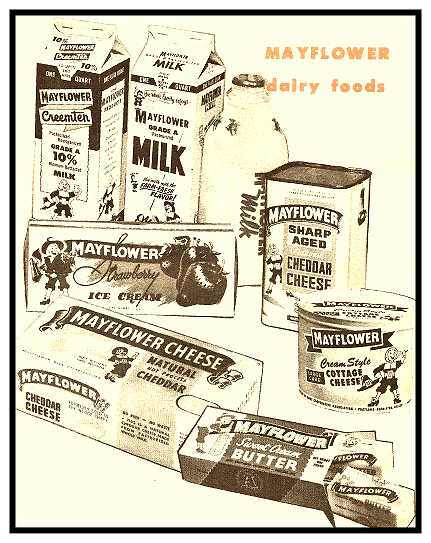 The new Mayflower Milk manufacturing plant on southeast 6th Avenue in Portland opened in 1960. 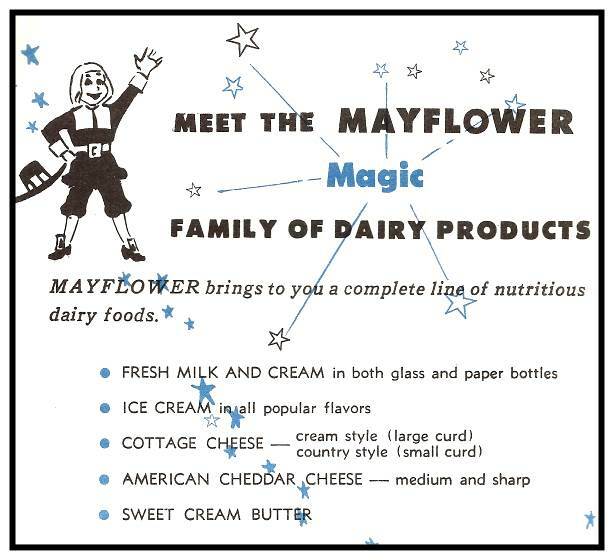 On April 1, 1962, the 33-year-old Dairy Cooperative Association changed its name to “Mayflower Farms” and all products were branded as “Mayflower.” However, they continued to make ice cream, cheese. and butter packaged for Darigold, as well as Western Family’s “Shur-Flavor” brand. 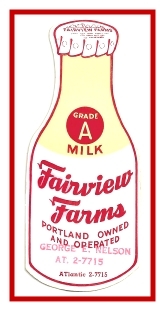 Fairview Farms joined Mayflower Farms and ceased to exist as an independent dairy in 1976. Several mergers occurred in 1967 and Mayflower Farms now included 318 dairymen who produced 40 million gallons of milk a year. Milk producers ranged in location from Etna, California in the south to Yakima and Olympia, Washington to the north, Baker, Oregon to the east and the coastal communities in the west. In the mid-1970s, Mayflower Farms operated processing plants within easy access to major highways, at Portland and Medford, Oregon and Yakima, Washington. Distribution facilities were also located in Portland, Astoria, Coos Bay, Medford, and The Dalles, Oregon as well as Yakima and Kennewick, Washington. 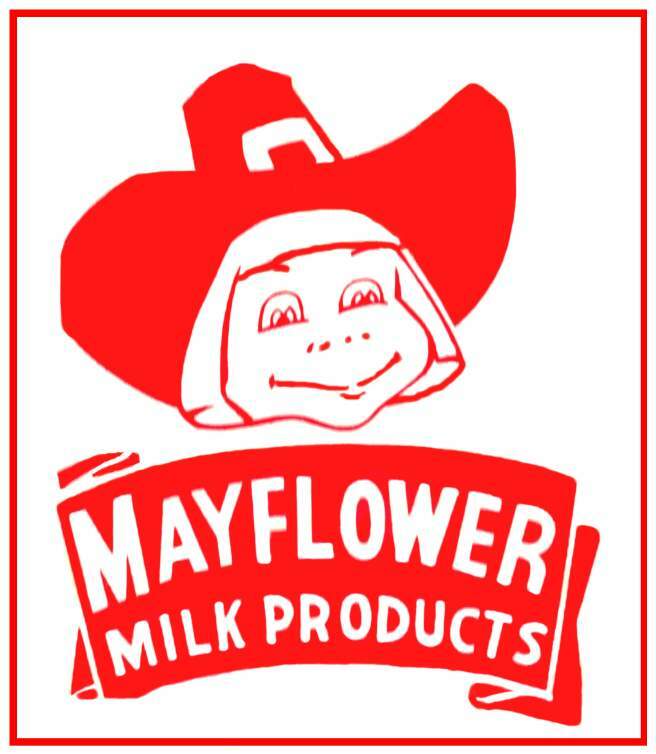 In the 1980s, Mayflower Farms joined the Northwest Dairy Association and began operating as a branch of Darigold which is headquartered in Seattle.